If you're wondering what a luxury tour in Lisbon looks like, here's a full day-by-day breakdown of what actually will happen during the course of this 9-day trip, ranging from the food scene to the arts and culture and everything in between. Is it a 9-day trip not suitable for your needs? 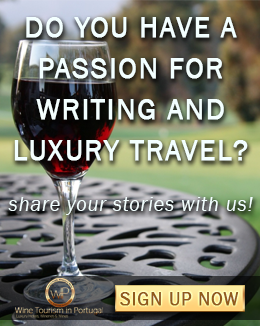 Let us know you timings and we will tailor-made a proposal for your time in Portugal. Regardless of your reason for traveling, no trip to Portugal is complete without a stop in Lisbon. 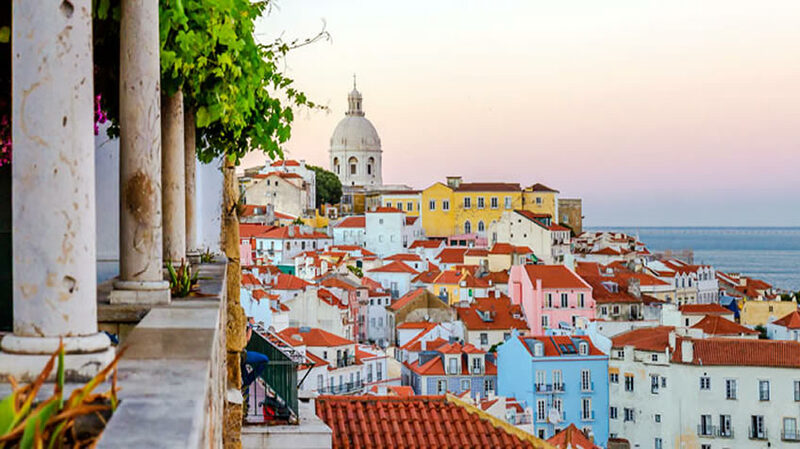 The Portuguese capital has become unexpectedly fashionable as travelers from all around the world set foot upon this historical yet cosmopolitan city. It’s easy to find what you’re looking for in Lisbon as the city reinvents itself once again, and looks back on its rich history. Old palaces and churches sit side by side with state-of-the-art museums and fashionable shops, while a new wave of up-and-coming neighborhoods filled with cozy cafes, and trendy restaurants has emerged. In our 9-day tour in Lisbon, we've round up the city's best restaurants and places to stay, as well as the best things you can do in and around the Portuguese capital. Down below we've broken it down for you so that you can gain a clear insight of what to expect when visiting Lisbon. Starting with a pick up at the city's Airport, you'll be taken to the hotel. The Hotel Avenida Palace, located in the centre of Lisbon close to the Bairro Alto and Chiado, this is a luxury 5 star Hotel with a unique charm to it as the hotel is considered Lisbon's historical heritage. With an exceptional location between downtown and the Liberdade Avenue, its elegant neoclassical architecture meets the luxurious sophistication of a modern european 5 star, this Hotel is a landmark where tradition meets innovation in the best way possible. The intimate and relaxing atmosphere, the customised and exquisite service and great concern for detail will make this an unforgettable experience. On a side note: A private driver will keep you company during some stretches of the tour, which will allow you to quickly move around - especially when venturing outside of the city into the surrounding countryside and towns - and leave you free to fully appreciate the experience, while helping you get more out of your cultural experiences. 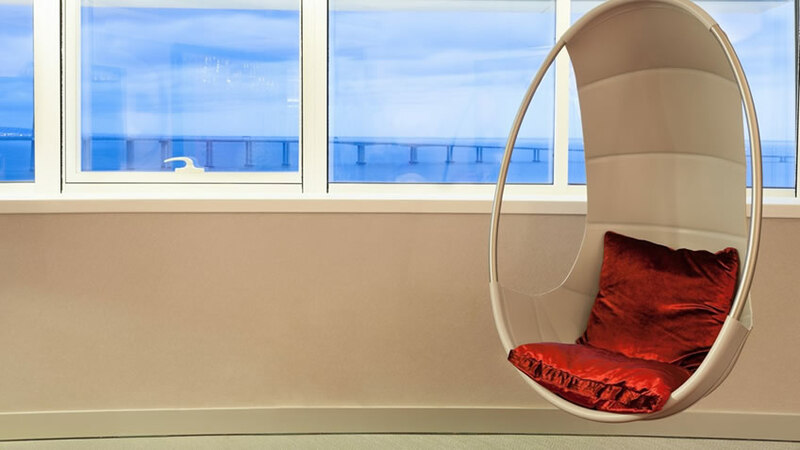 Enjoy a fantastic breakfast at the hotel, relaxe and enjoy Lisbon vibe. In the afternoon, you'll take a guided walking itinerary through the historic city center, followed by a wine tasting which will give you the opportunity to sample a wide range of wines from different Portuguese regions. Starting with a visit to the hilltop Castelo de São Jorge, and then down to the Cathedral and into the riverside to enjoy a lovelly walk next to Tagus River and Lisbon's beautiful bright colors. Stop by at Wines of Portugal Tasting Room for a comprehensive tasting of Portuguese wines and choose from a selection of reds, whites or a mix of locally produced wines. Dinner will be at downtown's By the Wine which doubles as a wine bar and restaurant featuring cheese and charcuterie platters, tapas, and other international favourites like ceviche, quesadilla, and grilled entrecote. Enjoy a free day and explore Parque das Nações. This area has reinvented itself from seedy district to thriving riverside area after being entirely renovated for the Expo '98. This riverfront district is one of the city's main centres, as well as one of the most modern, trendy neighborhoods in Lisbon. 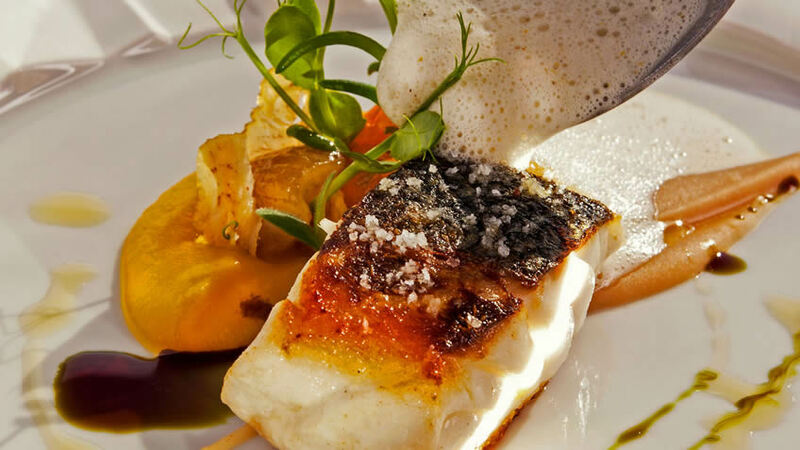 Dinner is waiting for you at River Lounge Restaurant.The River Lounge Restaurant and Bar has the signature of Chef Frederic Breitenbucher that combines the exquisite haute cuisine with Mediterranean influences with a careful selection of the most unique Portuguese wines. 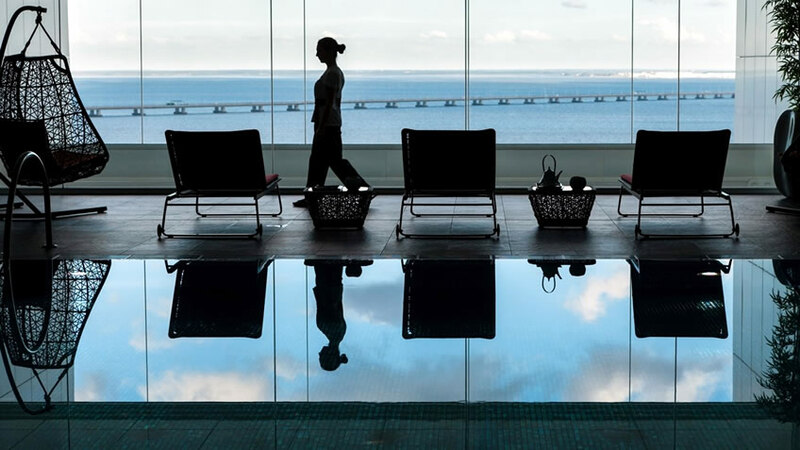 Oh, and you will be amazed by the stunning view over the Tagus River! Any question so far? We are available on the website chat and by phone from 9am-7pm Monday to Saturday. Jump start your day with a visit to Belém, on the westernmost part of the city. The intensive overseas exploration in the 15th and 16th centuries left major historic landmarks in this area with its grandiose nautical monuments and museums. Belém's undisputed attractions are the UNESCO-listed Mosteiro dos Jerónimos, with a jaw-dropping stonework, and 500-years old Torre de Belém which was once part of the river's defense system. After that, take a boat ride on the Tagus River and enjoy the views from this indisputable viewpoint. Tonight you'll enjoy a carefully-prepared dinner at Sandeman Chiado. Lodged in the city's downtown Lisbon, is far more than a winebar. Here you will find wine and food with soul.The space combines history and tradition with modern sophistication and the main recommendation is that you take time to enjoy yourself and this experience. Kick start your day with a tour through Lisbon's wine producing estates. Starting with a pick-up at the hotel, you'll drive along the freeway into gorgeous wine country. As soon as you arrive, you'll get close and personal with Lisbon's long-standing wine producing industry. Chocapalha will be the first stop of the day, where you'll enjoy a wonderful visit to the vineyards and food and wine pairings. The last stop of the day will be at Quinta do Gradil, where you'll enjoy dinner at the in-house restaurant, with a breath-taking view over the vineyards. Dubbed one of the oldest wineries in the area, it once belonged to the family of Marquis of Pombal, the man responsible for rebuilding Lisbon after the devastating 18th-century earthquake. After that, you'll be driven back to Lisbon. Your last visit will be Quinta do Sanguinhal. You will have a private visit to the 19th century gardens and to the vineyards of Quinta do Sanguinhal, to an old distillery with 300 m2 (3.229 sq. ft.) fully recovered, where wine spirit and grape mark spirit use to be produced, to an old mill with pole presses, dated of 1871, to an ageing cellar with 36 barrels. End the tour with a seven wine tasting (white, rosé, red and 1 fortified wine) followed by crackers, regional cheese and mini pastel de nata (custard tarts). After breakfast, you'll head out for yet another day tour out of Lisbon. The spectacular stretch of Atlantic coast just north of the city, is famed for its crashing waves and beautiful sandy beaches. The stylish seaside villages of Cascais and Estoril are an easy short drive away - just over half an hour - but remain relatively unknown. They are both picturesque towns with a fantastic seaside feel and lots of shops and restaurants. Back in the city, dinner will be at the unique Sommelier Lisbon. 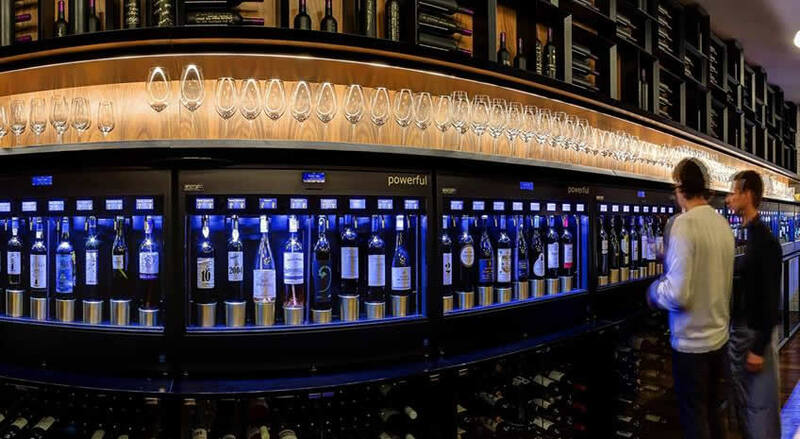 This wine-centered restaurant offers a contemporary menu and over 80 wines to choose from. Located in a quieter area - though only 10 minutes walking from central Rossio - there isn't a single detail that hasn't been thoroughly thought through. The ambiance is unmatched, the food is delicious, the staff are incredibly professional, and of course, the wine selection is superb. Start your day in the historic resort town of Sintra - 30 minutes outside Lisbon, With its rolling hills and awe-inspiring palaces, it seems to come straight out of a fairy tale. 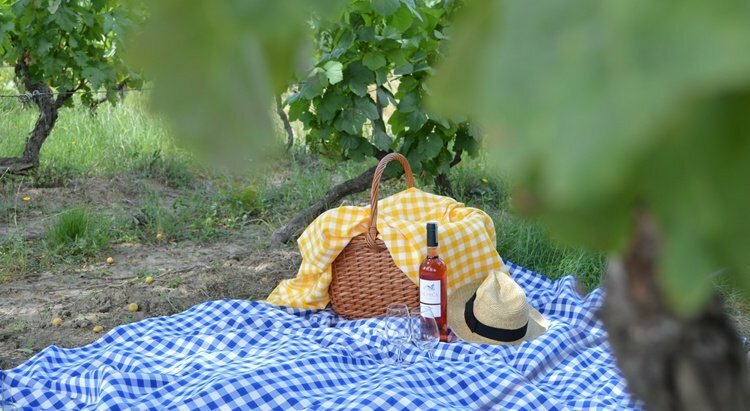 The wine industry is also thriving - and Adega Regional de Colares will give you the opportunity to chat directly with the winemaker about one of the world’s singular wine regions and its wines, while enjoying them. You'll also have the opportunity to visit some of the village's most iconic monuments, including the beautiful fairy tale-like Palácio da Pena. After that, you'll head north to the picturesque village of Óbidos, a small medieval town known for its many architectural features, cobbled lanes, and tiny white cottages. Best yet, we'll make sure you don't leave town without sampling one of the most famous Portuguese liqueurs called ginjinha, a cherry brandy for which Óbidos is know. At the end of the day, you'll be driven back to Lisbon. Starting with a pick up at the hotel, you'll cross the Tagus River toward Setubal Peninsula, which will take about 1 hour more or less. Your first stop of the day will be at Quinta da Bacalhôa, an innovative winery, palace and museum, with an astounding collection of contemporary sculptures and African art. In the afternoon, you'll visit the original headquarters of José Maria da Fonseca Company. This family-owned company is the oldest producer of Muscat, the sweet dessert wine, as well as famous Periquita table wine. Back in Lisbon, dinner will be at Michelin-starred Eleven. 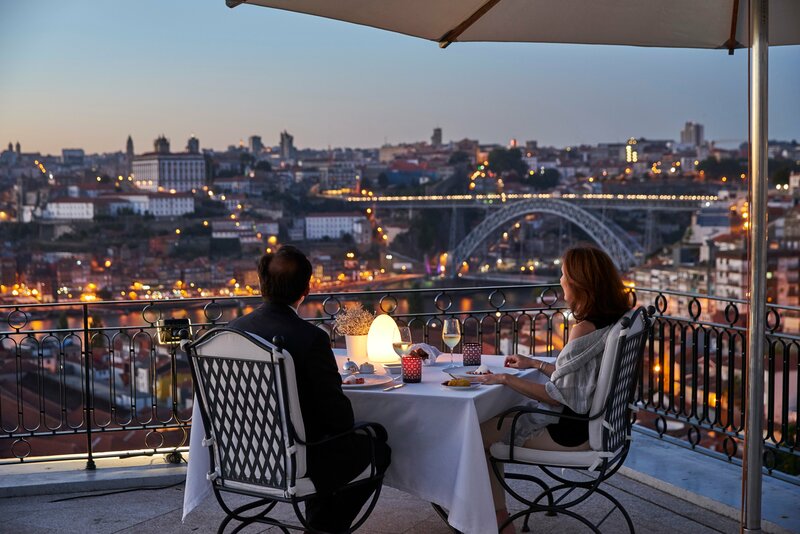 The German-born chef Joachim Koerper has been the Executive Chef and a partner of Eleven since 2004, by then the only restaurant in Lisbon with a Michelin star.The view from the restaurant is outstanding as well as the dining place and the decoration. Depending upon flight times you will be driven to the Lisbon Airport. 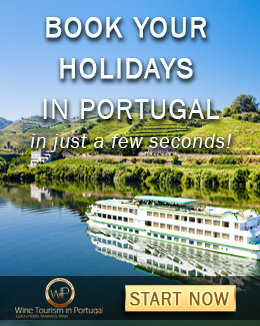 If you plan to extend your stay in Portugal, we can help you with that as well! Are you looking for a shorter trip yet with all the conforts? We have more options to inspire you. Or maybe you want to visit some other places outside Lisbon?